Very nice! I like that your colours are not as intense as Bonnie’s. I went back and looked at Bonnie’s. Her purple and yellow are very prominent. I was trying to use colors I liked. I want to make the pattern again using some other colors I haven’t selected yet. Can you hear me applauding you? I did Bonnie’s Celtic Circles I think it was…took forever but they always look spectacular, don’t they? And your colors are really nice. LOVE the backing! 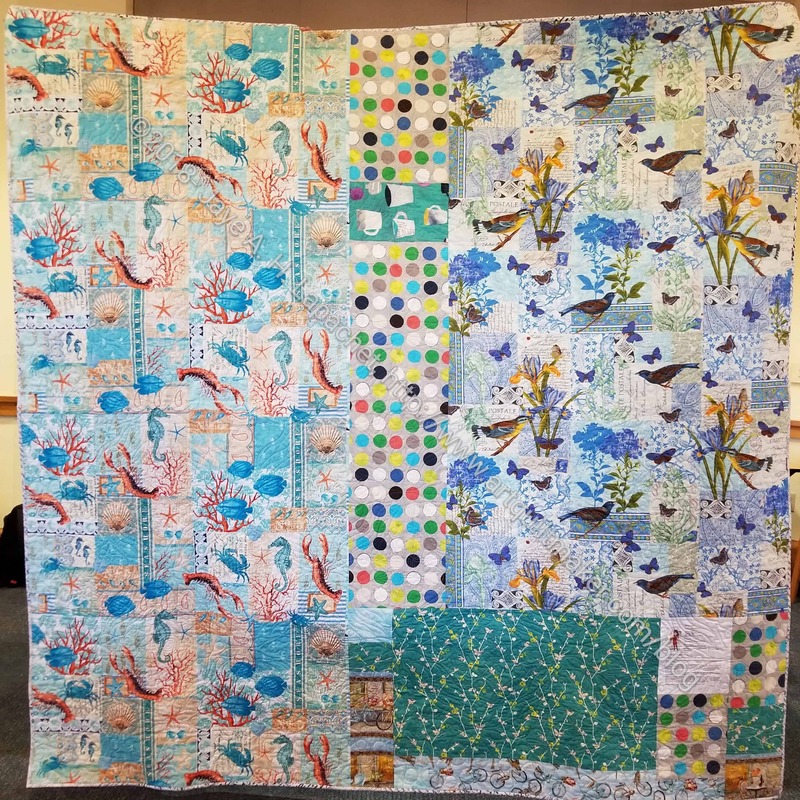 I just finished step two of this year’s Bonnie Hunter quilt….Ringo Lake. I can’t share the details, as the pattern is no longer free. It sure is a Bonnie quilt though! lol Oh my, the piecing. I think it will look great when it is finished too. Thanks for sharing yours. 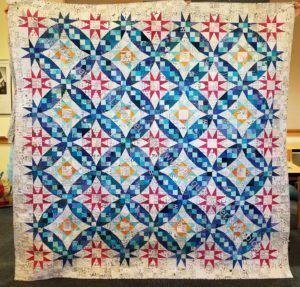 I always took note of your progress comments, knowing what a challenge her quilts are. I am glad it turned out so nice for you! Thanks so much. Her patterns are very involved, but the result is so satisfying. I save all of the patterns when they are free and then decide, after the reveal, if I will make the quilt. I can’t wait to see yours. 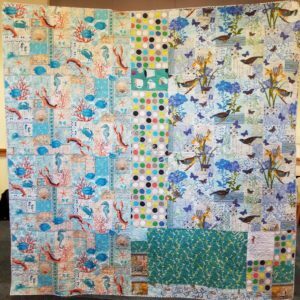 Congratulations on your En Provence quilt! It is quite striking. That is stunning and all my favorite colors! I want to make another one and just can’t decide what colors to use. The same? Similar? 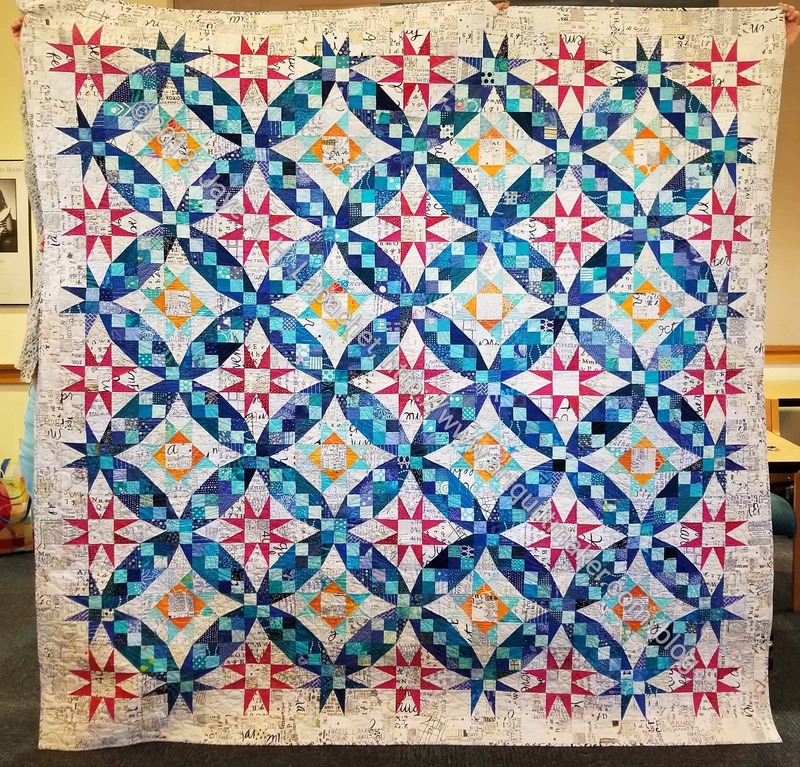 Next Next post: Ends Quilt n.2 Finished!